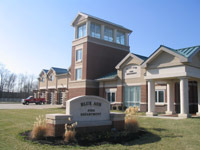 Settled in 1791, the city of Blue Ash is located 15 minutes northeast of downtown Cincinnati. 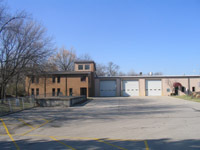 The fire department operates out of two stations and provides fire protection and EMS service to an area of 7.7 square miles with a population of 13,000. The "daytime" population increases to 70,000 due to the more than 2,000 businesses located within the city. The majority of the department consists of full-time paid personnel supplemented with part time personnel. 10/08 - Blue Ash ISO rating has been changed from 4 to 2. 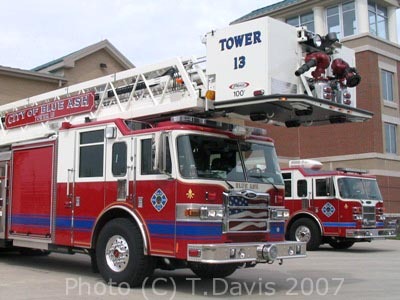 03/07 - Blue Ash takes delivery of a 2007 Pierce Aerial Tower for T13. A detail page for this apparatus has been added. 02/07 - E15, which is equiped with a 65' Telesqurt has been moved to Station 13 to provide coverage until the new aerial tower arrives. E213 was shifted to Station 15.